Tech news – Straight to the point! There’s been a lot of noise about the LG V30 over the past few days and a couple of guys have asked us to do a snap review about it. The V30 will go on sale from October 5, so if you’re thinking of buying it – here’s all you need to know. 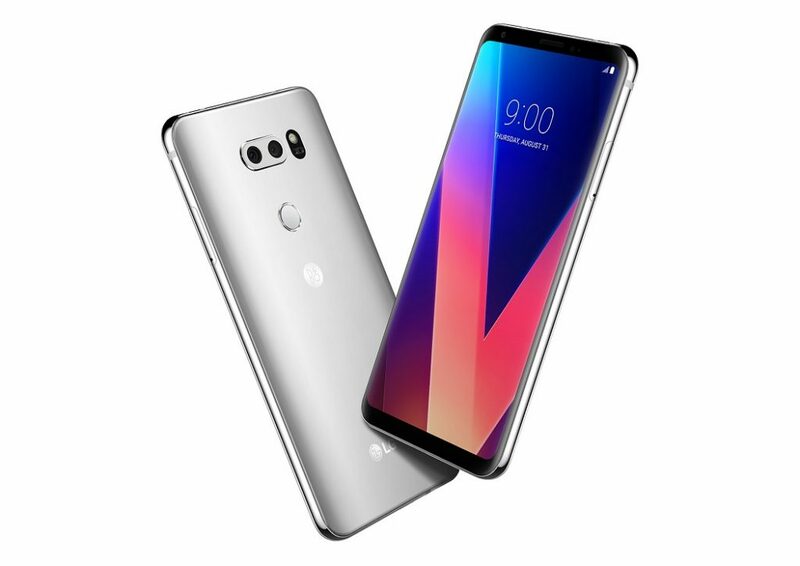 The V30’s design is probably the best we’ve seen ever on an LG phone. Taking a cue from fellow South Korean company, Samsung, LG said ‘bye-bye’ to bezels – opening up more space for a wider screen display. At 158g, the V30 is very light and the Gorilla Glass 5 covering on the back and front of the device, gives it a shiny feel without being uncomfortable or slippery to hold. Oh, and it’s water and dust resistant too. This is where the strength of the V30 probably lies – its camera. LG’s V-series phones have always been about video – which explains the ‘V’ in the name. Before talking about the camera specs, YouTuber, Parker Walbeck put the V30 to the test against a $50,000 RED Weapon Camera and I’m sure you’re already thinking, ‘what a mismatch.’ The outcome was pretty interesting however, of course you wouldn’t expect the V30 to come close to the brilliant quality offered by a $50,000 camera, but the V30 didn’t particularly disappoint either. You can see the full video of the comparison below. Like the G6, the V30 has two cameras at the back – this is fast becoming a trend in the smartphone industry. The main camera has a 16MP lens with Optical Image Stabilisation (OIS) and f/1.6 wide aperture which should enable it shoot great photos in low light conditions. The secondary camera is a 13MP wide angle camera that captures images with a 120 degree field of view. It has a f/1.9 aperture and no OIS. The still photo shooting capability is great but where the V30 really comes to its own is in videos. It offers load of options for video shooting than you get from most smartphones. First of these is the Cine Video which allows you to add different colour grade to your videos using pre-set filters, in order to give them that movie-feel. Then there is the ‘Point Zoom’ which lets you lock on to a target in a video you’re you shooting, so you can gently zoom in on the subject. This solves an unapparent difficulty we go through with traditional camera apps, which let you zoom to the centre and then move your camera on to the subject. The front-facing camera is a 5MP sensor, and you may be wondering why so small considering this is 2017. But there’s more to taking a great selfie than the mega-pixel count of the camera. There is no point having a great camera on the back of a shabby display. 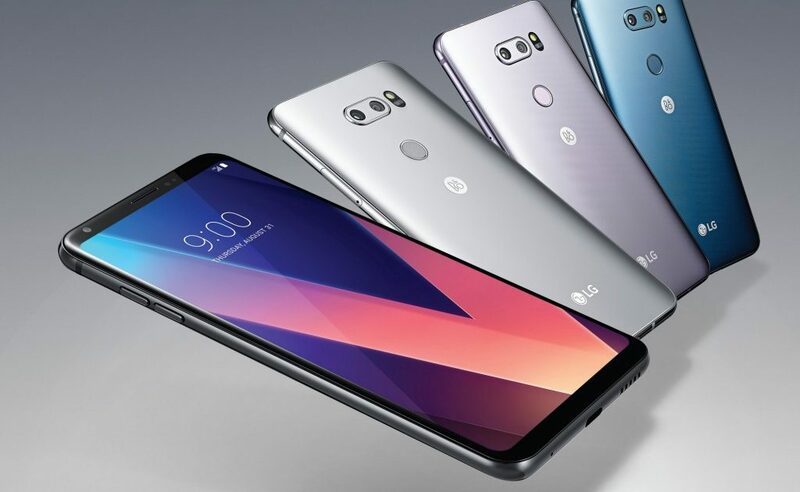 LG knows this, and have opted for an OLED screen on the V30 – instead of the regular LCD panels we have been used to seeing on LG phones. OLED panels offer richer and more vibrant colours as well as deeper blacks than general LCD screens. 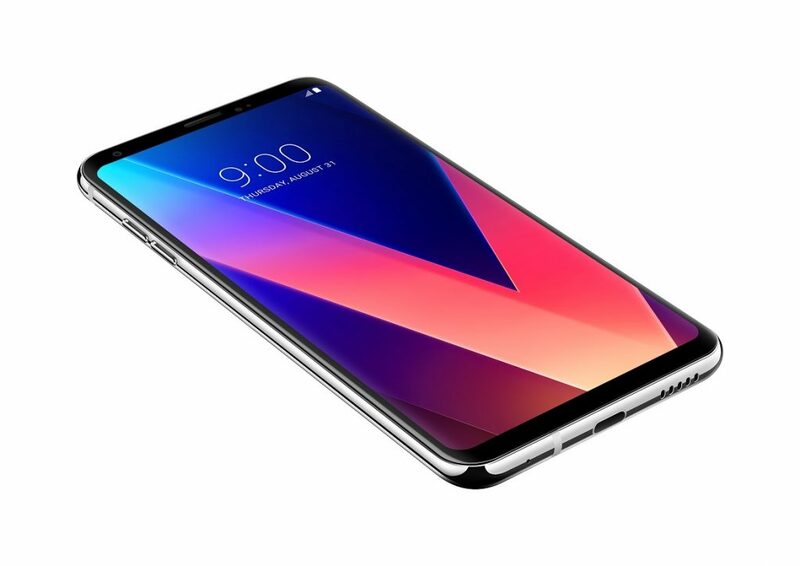 The V30 has a 6-inch ‘Full-Vision’ HDR display, with an aspect ratio of 18:9 and Quad HD+ resolution – so you can expect contents displayed on the screen to be sharp and visually appealing. Ditching the headphone jack doesn’t appear to be in the minds of bosses at LG at the moment, instead they have gone on to improve the port and sweetened it by packing a nice pair of Bang & Olufsen (B&O) earbuds into V30 boxes in certain markets. Coupled with the fact that there is 32-bit Hi-Fi Quad DAC inside the V30, audiophiles can expect impressive sound quality from this device. Software! This is where I feel underwhelmed by LG phones generally. I have followed LG phones since the days of the G3, and while I’ll admit there have been improvements in recent times, LG’s UI is still relatively short of the levels offered by Samsung and Sony. The V30 comes with Android 7.1.2 and LG has done well to improve the aesthetics of app icons and the notification area. I’d have been more pleased if the LG V30 launched with Android 8.0 Oreo just like Sony Xperia XZ1 and XZ1 Compact. Battery life is a big factor most people consider when buying phones. More so, if you live in Nigeria, you’d want to get a device that can go the distance in the face of irregular supply of electricity. The 3300 mAh battery as well as the reasonably efficient Snapdragon 835 processor on the V30 should see you through a full day of normal use. The V30 uses a USB type C charger and supports fast-charging – so if the battery goes flat, you should be up and running in no time. As mentioned earlier, inside the V30 is a Qualcomm Snapdragron 835 processor, supported by 4GB of RAM. The device will be available in two storage models – 64GB and 128GB. The device will go on sale from October 5 in the US, and you can expect to get one for $750 (N270,000). A MUFC fan with serious love for gadgets and all things tech. Not the movie-loving type, more like the kinda guy you'll see with a PS4 controller. I like good music - any type, as long as it sounds good. Oh and I'm a very picky eater too. Apart from science and tech, I follow all kinda stuff in politics, sports, business and entrepreneurship. RT @SamsungMobile: Power to the people: what’s your favorite super power from the new #GalaxyNote9? © 2017 LAKEHAY. Unauthorized use and/or duplication of this material without express and written permission from this site's author or owner is strictly prohibited. Excerpts and links may be used, provided that full and clear credit is given to LakeHay with appropriate and specific direction to the original content. | VMag by AccessPress Themes.